The Miracle of Kindness is the guidebook for the emerging relevant church today. It is a passionate and thoughtful fresh menu for living a good life directed towards people and pastors. Every warm-hearted person will be encouraged about their potential for lifting spirits and moved to act. The book is full of care and kindness anecdotes illustrating how small acts delivered daily can brighten the world. Such behavior is the Spirit of Christ flowing through ordinary souls. Several touching stories show compassionate responses to tough situations performed by friends and neighbors; inspiration for the reader. The Miracle of Kindness maintains that every Sunday or Sabbath meeting must be times of motivating and inspiring those gathered toward daily lives delivering care and kindness. A study guide completes the book. Dr. Jim Kok is a rare Pastor inasmuch as he has devoted his entire professional life to Care, both hands on as a pastor and chaplain, as a writer, and teaching Pastors and volunteers as an educator. Jim Kok’s passion, as a Pastor of forty years, is to equip, encourage and motivate God’s people to shine more brightly and confidently in offering compassion and loving kindness in everyday life. His teaching and writing prove indisputably everyone and anyone can help others. In 1996 Kok published a book 90% of Helping is Just Showing Up. That book inspired the founding of "The Conference on Care and Kindness" held annually in Garden Grove, California at the Crystal Cathedral. The event draws, folks who care, from all over the continent to receive inspiration and instruction in refining their skills while being reminded that "showing up" is the first, and essential, step. 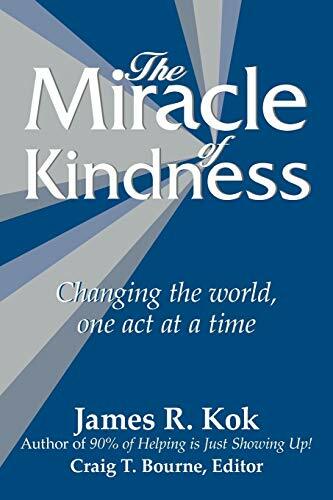 Dr. Kok is also the author of books on grief, aging, Pastoral Counseling, and family life, in addition to the new book The Miracle of Kindness. He is the Pastor of Care Ministries at the Crystal Cathedral. 4. 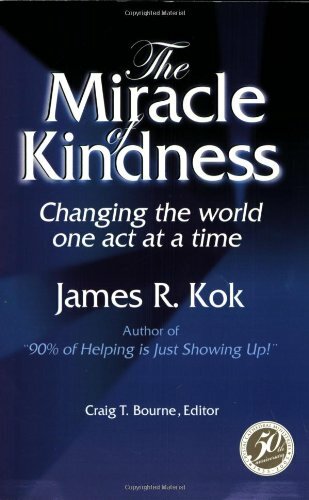 The Miracle of Kindness Kok, James R.